DesiDime intends to protect the privacy of its users (whether or not registered with DesiDime) on its website and/or our mobile application being www.desidime.com (“our Website”) and Desidime Free Coupons and Deals application (“mobile application”) and the privacy of their data provided by them to DesiDime from time to time. The privacy of our website and/or our mobile application users, whether you are our former or existing registered user or merely a visitor to our Website and/or our mobile application, is important to us and we are strongly committed to your right to privacy and to keeping your personal and other information secure. We encourage you to read our privacy statement to understand what types of personally identifiable information we collect and how we use this information. What type of information does DesiDime.com collect from you? We only collect personally identifiable information that you choose to provide on our Website and/or our mobile application on registration for the purpose of registering on our Website and/or our mobile application. DesiDime may ask for Personal Information from you at the time of registering for the purpose of providing you the content and/or services that you request. Additionally, DesiDime collects the e-mail addresses of those who opt to communicate with DesiDime via e-mail for regular updates, discounts and deals. However your other personal details including but not limited to gender, age, postal address, phone number, date of birth, job role, occupation, opinion on deals available, feedback, suggestions, views, survey information, etc. (“User Information”) may be shared/volunteered by you on our discussion forums or other pages which you may access or visit on our Website and/or our mobile application. You may note that User Information being in the public domain is available for access for all our Website’s and/or our mobile application users and visitors. You are advised to exercise discretion before you make your personal details public, as such information is vulnerable to mis-use and can be easily misused. DesiDime in this regard fully disclaims any liability(ies) or claim(s) which may arise by use/misuse of User Information shared by you, by any third party or any party not known to DesiDime. We encourage your participation on our discussion forums to share your views, experiences, ideas and deals and to keep you abreast with the latest deals, popular products and services, discounts, attractive deals and best prices to enhance and personalise your overall shopping experience. Notwithstanding termination of your membership with DesiDime, any/all information exchanged by you with DesiDime in the form of written communication, responses to emails, feedback required from you, participation in discussions, content posted on our website and/or our mobile application, together with all intellectual property rights embodied therein, shall for all purposes, etc. be deemed to be the property of DesiDime and shall be owned exclusively by DesiDime for the exclusive use of DesiDime. Accordingly, DesiDime shall not in this regard, be obliged to modify, alter, substitute or delete any content posted by you on our Website and/or our mobile application or any information shared by you with us, on termination of your membership with DesiDime. Our Website and/or our mobile application does not collect information about you except when you specifically and knowingly provide it. DesiDime uses your Personal Information and User Information for the purpose of creating a vibrant online user oriented shopping platform enriched by expert and user generated content. DesiDime DOES NOT trade, sell or otherwise deal in your Personal Information in any manner, except as specified herein, or unless express consent is sought from you, in that regard. Your Personal Information is collected for the purpose of identifying you (i) on our forum of users (ii) as members of DesiDime (iii) for the purpose of interacting with you, and (iv) keeping you abreast of deals, discounts, products and services which interest you. DesiDime also collects certain other information from you on your visit to our Website and/or our mobile application such as your information about your operating system, browser type, the URL of the previous web site you visited, your internet service provider and your IP Address (“Non-personal Information”). This information cannot be easily used to personally identify you. We use Non-personal Information for the purposes including but not limited to troubleshoot connection problems, administer the Website, analyze trends, gather demographic information, to ascertain how our visitors use our website and/or our mobile application, including information relating to the frequency of visits to our web site and/or our mobile application, average length of visits, pages viewed during a visit, ensuring compliance with the applicable law, co-operating with law enforcement activities, etc. This information is used to improve the site content and performance. You also agree that DesiDime may gather usage statistics and usage data from your use of our Website and/or our mobile application to evaluate your use of our products/services, to improve our products/services, Website and/or mobile application content and to ensure that you are complying with the terms of the applicable agreements between you and DesiDime. The statistics and data collected may or may not be aggregated. These statistics contain no Personal Information or User Information that can distinctly identify you. We may in future also share this information with Third Party Service Providers and Third Party Advertisers to measure the overall effectiveness of our online advertising, content, programming and for other bonafide purpose as we may desire. By usage of our Website and/or our mobile application you expressly permit DesiDime to access such information for one or more purposes deemed fit by DesiDime. Similar to other commercial web sites, our Website and/or our mobile application utilizes standard technology called "Cookies" and Web server logs to collect information about how our Website and/or our mobile application is used. Cookies are small pieces of information that are stored by your browser on your computer's hard drive. Cookies are only read by the server that places them, and are unable to inter alia run programs on your computer, plant viruses or harvest your personal information. Cookies allow Web servers to recognize your computer each time you return to our web site and/or our mobile application including the date and time of visits, the pages viewed, time spent at our Website and/or our mobile application, and the Websites visited just before and just after our Website and/or our mobile application, verify your registration or password information (in case of registered users) during a particular session so that you do not have to input your password multiple times as you navigate the site, and suggest products or services that may interest you. This information is collected on an aggregate basis. None of this information is associated with you as an individual. We automatically log generic information about your computer's connection to the Internet, which we call "session data", that is anonymous and not linked to any personal information. Session data consists of information such as the IP address, operating system, type of browser software being used by you and the activities conducted by you on our Website and/or our mobile application. An IP address is a number that lets computers attached to the internet, such as our web servers, know where to send data back to the user, such as the pages of the site the user wishes to view. We collect session data because it helps us analyse things such as the items visitors are likely to click on most, the manner in which visitors click preferences on our Website and/or our mobile application, number of visitors surfing to various pages on the site, time spent by the visitors on our Website and/or our mobile application and frequency of their visit . It also helps us diagnose problems with our servers and lets us better administer our systems. Although such information does not identify any visitor personally, it is possible to determine from an IP address a visitor's Internet Service Provider (ISP), and the approximate geographic location of his or her point of connectivity. We may from time to time add or enhance products/services available on our Website and/or our mobile application. To the extent these products/services are provided to and used by you, we will use the information you provide in this regard to facilitate the products/service requested. For example, if you email us with a question, we will use your email address, name, nature of the question, etc. to respond to your question. We may also store and publish such information to assist us in making the site the better and easier to use. DesiDime’s presence on social networking websites viz. LinkedIn, Facebook, Twitter, Youtube, etc. is only a promotional initiative to invite participation and involvement of prospective customers located in different parts of the country. The domain links contained therein may either direct you to our Website and/or our mobile application or request your participation by way of feedback, suggestions, shopping experiences, discussions, views, etc. about various latest deals, best discounts, technology, trends, and similar topics. DesiDime in this regard fully disclaims any liability(ies) or claim(s) which may arise by use/misuse of your feedback, suggestions, views, etc. on any of the aforementioned networking websites or blogs, by any third party whether or not known to DesiDime. Does DesiDime protect my personal information? DesiDime is committed to protecting the privacy and the confidentiality of your Personal Information. Whenever DesiDime obtains Personal Information from you, our Website and/or our mobile application uses commercially reasonable efforts and general industry standards to protect it from any unauthorized access or disclosure. 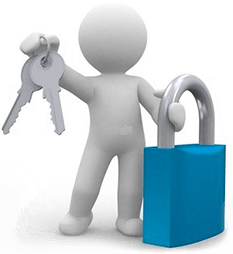 Access to your Personal Information is limited to DesiDime’s personnel and such authorized third parties who may host your data on our behalf or may assist us in providing the products and services requested by you. DesiDime uses its best endeavours to maintain physical, electronic and procedural safeguards that aim to protect your information against loss, misuse, damage, modification, and unauthorized access or disclosure. However, DesiDime assumes no liability whatsoever for any disclosure of Personal Information due to unauthorized third party access or other acts of third parties, or any other acts or omissions beyond reasonable control of DesiDime. Does DesiDime secure the content its users post from other users? The content that you store, post, or transmit on or through our Website and/or our mobile application, such as forum postings, your profile page, the images you upload to our Website and/or our mobile application, may be accessed by other users (registered or unregistered), including people that you do not know. The purpose of making such content public is to enhance your overall shopping experience and to provide you a platform where users meet and interact on a one to one basis. However, the content/images that you post in discussion forms may be prone to mis-use by a party not known to you. DesiDime in this regard fully disclaims any liability(ies) or claim(s) which may arise by use/misuse of such content, by any third party or any party not known to DesiDime. We suggest that you exercise care and caution in communicating with other users and only disclose your information to other users that you know to be trustworthy. You should not assume that your content will be kept private. How does DesiDime use the information that it collects? Your Personal Information and User Information is used by us and/or authorized third parties/service partners to support your interaction with us, to offer you the latest deals and best prices concerning products and services and to contact you again about other services and products that we offer. By submitting your Personal Information and User Information to DesiDime, you expressly acknowledge and consent to DesiDime to use such information and to process the same in a manner deemed fit by DesiDime. This may involve conducting data analysis, research based on reviews about deals, transfer of your Personal Information to third party experts for the purpose of outsourcing services offered to you by DesiDime, etc. DesiDime makes every reasonable effort to preserve the privacy and confidentiality of your information shared with us. We implement standard measures to protect your Personal and Non-Personal Information against unauthorized access to and unlawful interception. However, you understand and acknowledge that no internet site can fully eliminate security risks associated with protecting such information. Although access to such information is restricted to authorised employees or agents of DesiDime, we cannot guarantee the security of any information transmitted on the internet and you agree to do so at your own risk. We reserve the right to disclose Personal Information/ User Information without your consent (express or implied) and without any liabilities to you when required or permitted by law and we have a good-faith belief that (i) such action is necessary to comply with an appropriate law enforcement investigation, current judicial proceeding, a court order or legal process served on us or (ii) to conform to the legal requirements, compliance/reporting to administrative and judicial authorities, as may be required (iii) protect and defend the rights or property of the website and/or our mobile application owners of DesiDime, or the users of DesiDime, (iv) person(s) or company(ies) who provide certain support services to us, and (v) person(s) or company(ies) who share certain responsibilities/obligations of DesiDime. How does DesiDime address children's privacy? DesiDime requires that the visitor must be at least 18 years old to have our permission to use this site. If you are below 18 years of age, you are strictly prohibited from registering on our Website and/or our mobile application or doing any act which leads us to believe that you are 18 years of age or above. If you are the parent or guardian of a child under 18 years of age you provide your consent to your child’s registration with our Website and/or our mobile application and if you believe that they have disclosed personally identifiable information to us, please contact us at [email protected] so that we may take immediate steps to delete the child's information.